We warmly welcome you to join us for our services. 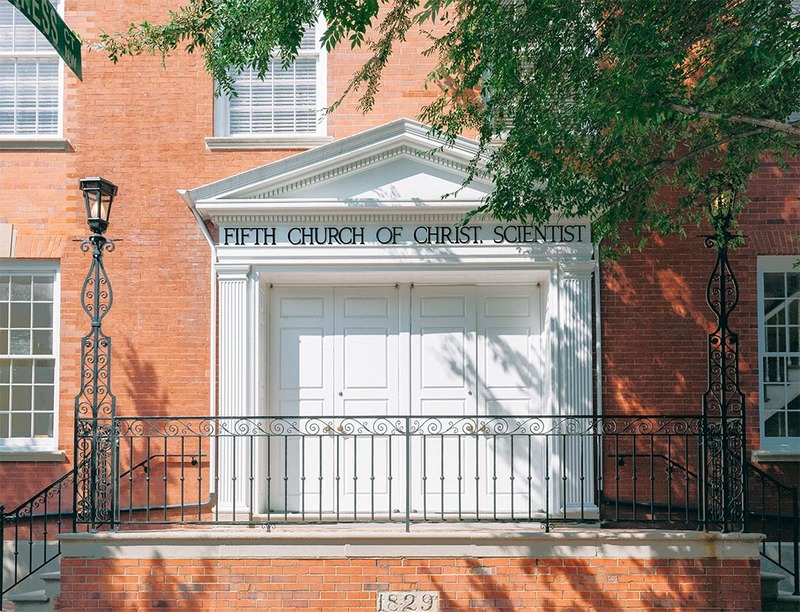 We are a Christian Science church, one of the many branch churches of the First Church of Christ, Scientist in Boston, Massachusetts (also known as the Mother Church). Sunday Sermons consist of the reading of the weekly Christian Science Bible Lesson, which contain selections from the Bible and Science and Health with Key to the Scriptures by Mary Baker Eddy. Our Sunday School meets at the same time as our Sunday church services. In addition to our Sunday service, we also hold a one-hour Wednesday evening testimony meeting, where people share their progress and healings through the practice of Christian Science and applying God’s spiritual laws to their daily lives and challenges. 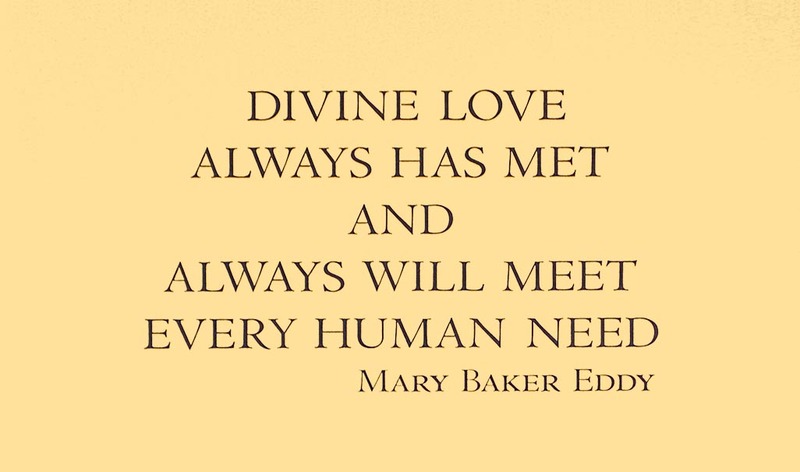 Mary Baker Eddy is the Discover and Founder of Christian Science, a Bible-based religion, and the author of the Christian Science textbook, Science and Health with Key to the Scriptures. Learn more at ChristianScience.com. The Sunday Sermon is composed of readings from the Bible and Science and Health with Key to the Scriptures, by Mary Baker Eddy. These services also include prayer and hymns. Our Sunday school is held at the same time as our church services. Younger students learn spiritual lessons from the Bible, including the Ten Commandments, the Sermon on the Mount, and the Lord’s Prayer. Older students up to the age of 20 discuss issues relevant to their lives, based on the Christian Science Bible Lesson. All students learn to apply truths from the Bible and Science and Health in a practical way in their daily lives. 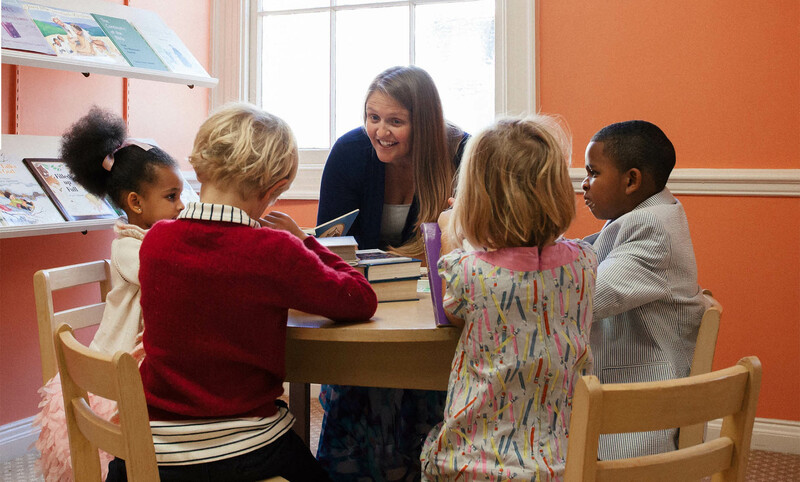 Thoughtful, loving and responsible care for infants and toddlers not yet ready for Sunday School or Church Services is available during all of our services in our Children’s Room. 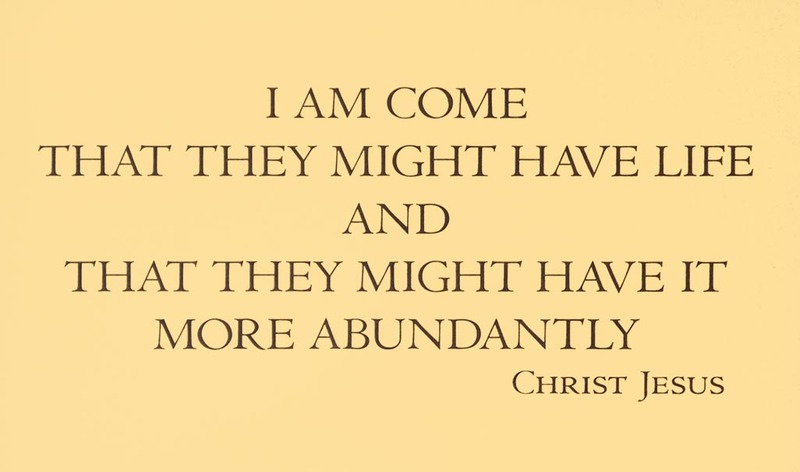 After hearing readings from the Bible and Science and Health to bring spiritual insight to address daily challenges in a practical way, those attending are welcome to share their healing experiences and growth gained through the study of Christian Science. After a Thanksgiving Proclamation, selections from the Bible and Science and Health are read, and then expressions of gratitude for healing, spiritual growth and progress over the past year are offered. The Bible and the Christian Science textbook, Science and Health with Key to the Scriptures by Mary Baker Eddy, together serve as the pastor of all Christian Science churches. Sunday church services consist of readings from the Bible and Science and Health. They are based on the oneness and allness of God, also known as Principle, Mind, Soul, Spirit, Life, Truth, Love. Our Reading Room is a public resource for the community, just a few doors down the street from the church. It’s a quiet place to read and study. You can find the Bible, Science and Health and Christian Science literature to read, borrow or purchase. Also available for purchase are Bible reference materials, biographies of Mary Baker Eddy covering her life and her many healings of others, and illustrated Bible-story books for children. You can also read the international newspaper, the Christian Science Monitor covering national and world events. An attendant is present to assist you during scheduled hours. Open after Wed. service by request. Free parking is available to visitors of the Reading Room in the parking lot behind the Church. 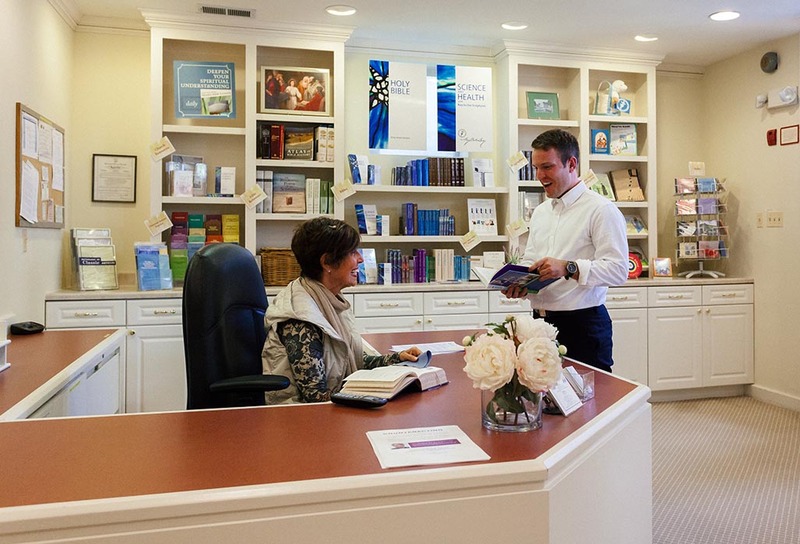 Are you interested in finding out more about how Christian Science heals? We hold an annual lecture for the community, a talk which is given by a member of the Christian Science Board of Lectureship – someone who is experienced in how Christian Science heals. Learn how to make progress in your life by applying God’s universal, spiritual laws through prayer to bring change to your situation for the better, regardless of what illness or difficulty you are facing. Information about the topic, date and time will be posted here as the time approaches for our annual lecture. 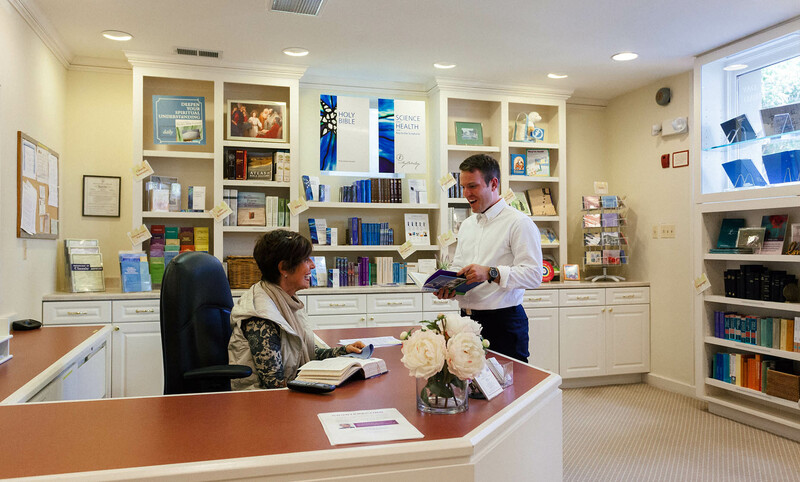 To learn more about how Christian Science heals and read testimonies of those healed, visit ChristianScience.com. To find out more about Christian Science lectures and other events as well as other Christian Science churches and reading rooms throughout the DC area, visit ChristianScienceDC.com. 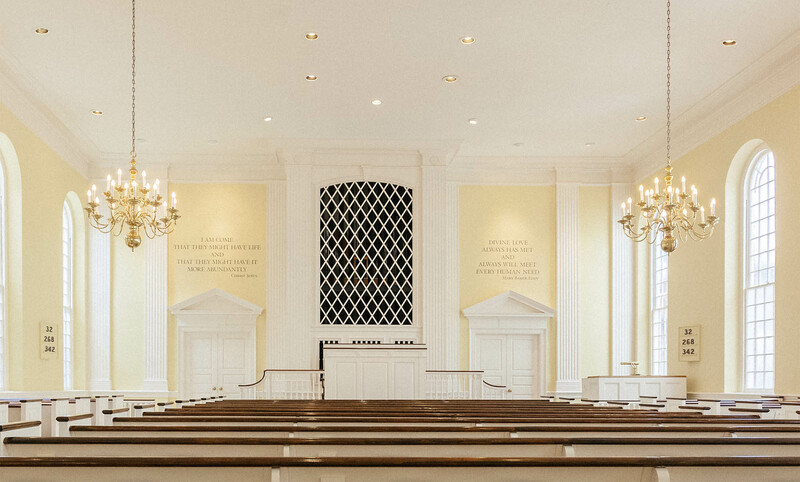 The Mother Church Sunday Services and Wednesday Testimony Meetings can be heard online or by phone – Listen live or replay here. Sentinel Watch is a weekly podcast produced by the Christian Science Sentinel that discusses prayer, healing and other topics of concern in your life and the community. Listen online or download. Find out more. You can also listen 24 hours a day by calling 202.658.7855 and selecting The Sentinel (English) or El Heraldo (Spanish). We would like to thank First Church of Christ, Scientist, San Francisco for the use of their custom WordPress template to create this website. Free street parking is available all-day on Sundays. 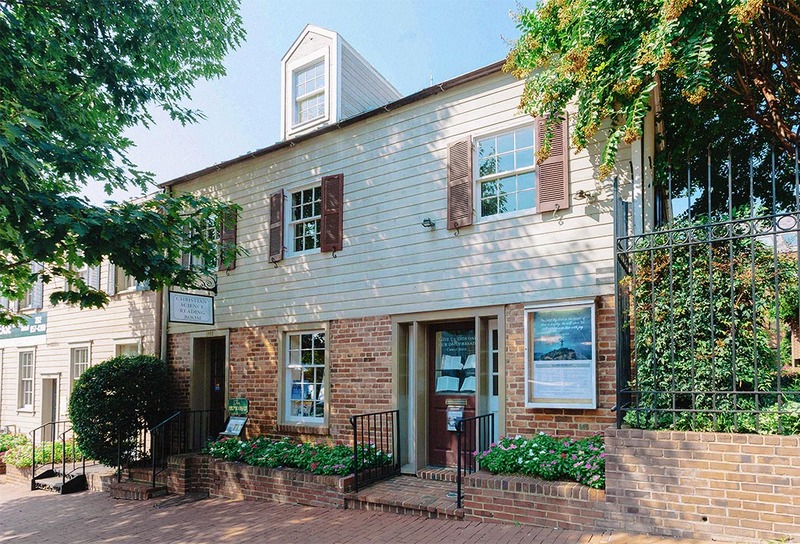 For our Sunday service only, free parking is also available at The Old Stone House Parking lot on M Street between 30th and 31st Streets with a parking pass; you will need to stop-by the church prior to the service to obtain a parking pass from an usher. The parking pass expires 15 minutes after the end of the service. On Wednesdays, free street parking is available with a 2-hour time limit that applies until 9 pm.